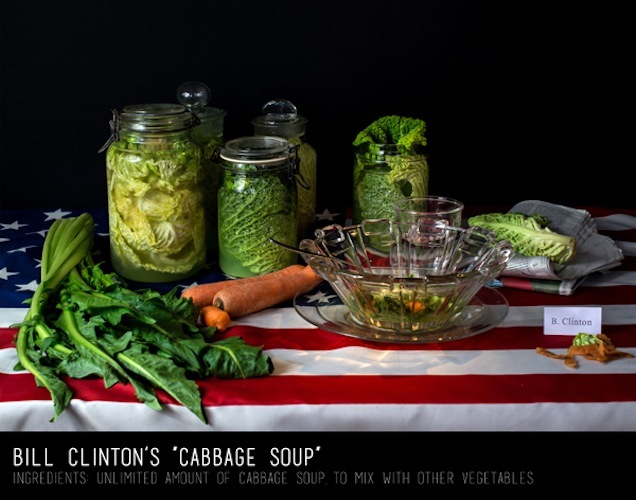 From Beyoncé's master cleanse to Bill Clinton's cabbage-soup diet, photographer Dan Bannino takes a look at some of most bizarre weight-loss methods out there. 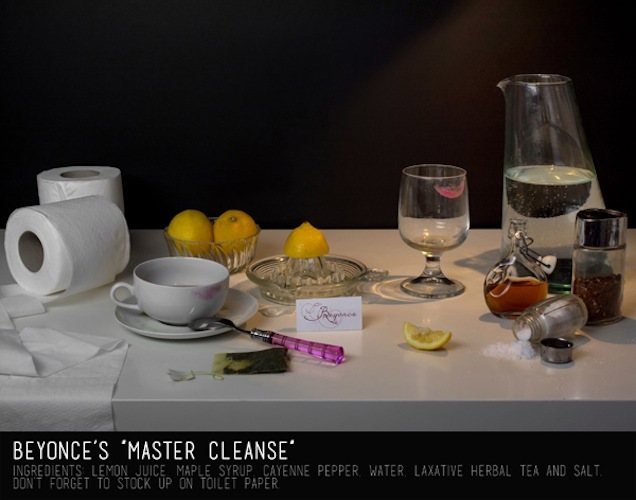 The photo series also takes a look at the Master Cleans” diet—a liquid cleanse concoction of lemon juice, maple syrup, cayenne pepper, water, laxative herbal tea, and salt—that Beyoncé gulped down in order to lose weight for her role in Dreamgirls. 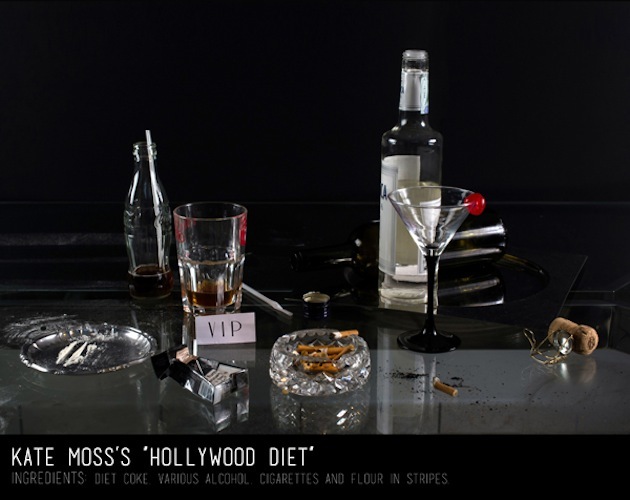 But beautiful women aren’t the only dieters out there. 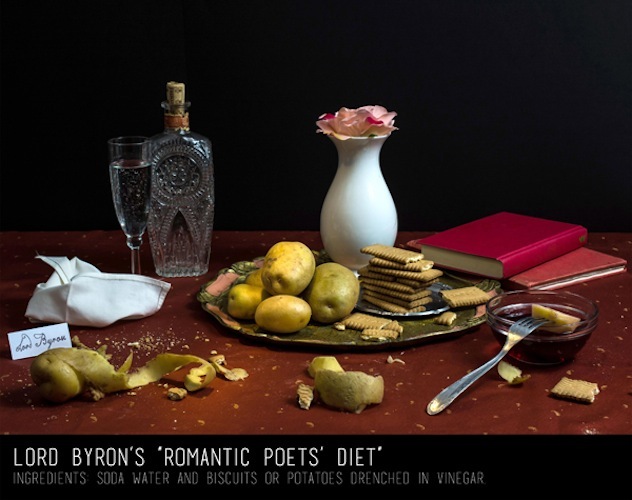 Bannino also captures former president Bill Clinton’s cabbage soup diet that put him in shape for his daughter’s wedding in 2010, as well as poet Lord Byron’s historic Romantic Poets diet that helped to kickstart a public obsession with weight loss and dietary fads. 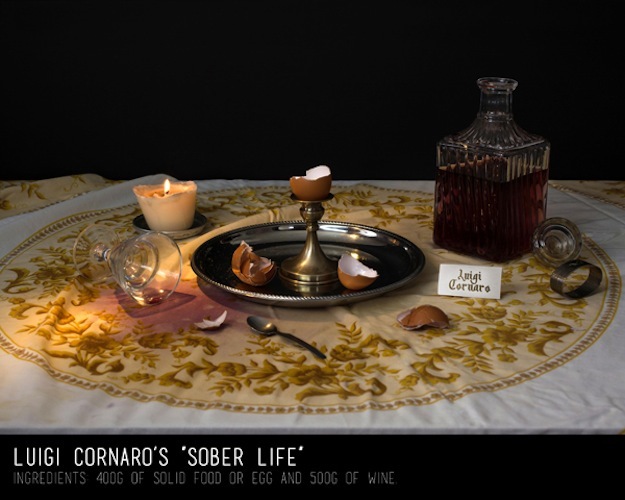 Check out some highlights from the photo series, then proceed to eat some nachos.